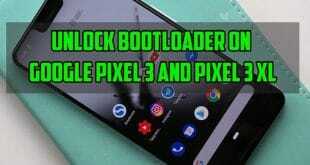 Home / Hacks / Bootloader Unlock / How to Unlock Bootloader on Motorola Devices? Unlocking Bootloader is Your first step towards advanced Use of Android. It opens the door to a whole new world of customization possibilities. Want to install a Custom Recovery? Or want to Root your Phone? All these are possible only if you have an Unlocked Bootloader. Before You go about unlocking bootloader, all crazy, it’s important that you First understand just what is bootloader and to unlock bootloader? Whenever you switch on your Android device, a program starts running instantly which decides whether to boot into the Operating System or to the Recovery mode. This Bootloader is not only confined to a smartphone. Every system which runs on any Operating System has its own bootloader. It can be seen on your PC or your Tablet. Let’s take an example understanding. I have a PC with two Operating Systems — Windows and Linux. I’ve set Windows as’default’ Operating System. The bootloader starts running and decides which Operating System to start. You’ll first have to unlock it although that is how it works for Android also. Simple. Manufacturers don’t want you to mess up with your phone. They need that you use only the Operating System which came installed from the Factory. Why do I Want to Unlock Bootloader? Unlocking bootloader isn’t a compulsion. Rather, it’s a choice. It if you would like to unlock the bootloader or not. Unlocking Bootloader has its own advantages. Like, you can install any Custom ROM That you want and get rid pre-installed. Framework. And you also need to know that Unlocking Bootloader will void your warranty. So first think and then act. You can do really amazing things if you have a bootloader unlocked Android device. But how to unlock bootloader? The procedure for Unlocking Bootloader is a bit different for every Manufacturer. 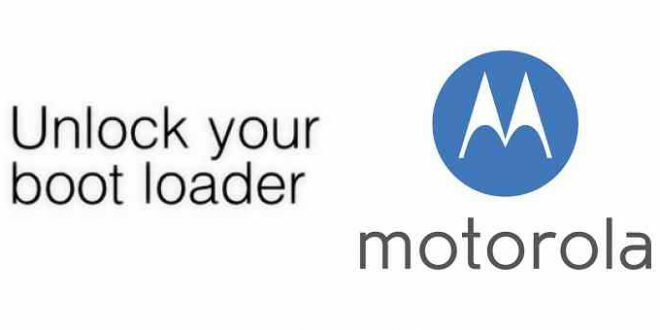 In this post, I am only going to talk about How to unlock bootloader on Motorola Devices. Unlocking Bootloader on Motorola devices is simple and if all went well, you’ll have a unlocked Motorola device in a couple of minutes. Have a copy of everything on your device before you kick off. Unlocking Bootloader wipes all your phone’s data. Take A Backup of everything. some use. Or you can copy all your files. 1. Head over to this link and download the latest USB Drivers for your Motorola device. It is available for both Windows and Mac, so you need to download accordingly. 2. 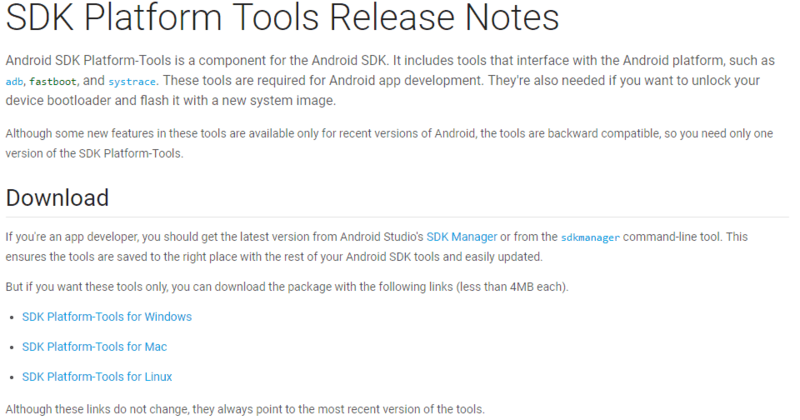 Head over to this link and download Android SDK Platform-tools. Available for Windows, Mac and Linux. Download the one which suits you. 4. On your phone, Turn on USB Debugging. You can do that by going into your phone’s Settings, scroll down and tap on About. Scroll till you find Build Number. Tap on it 7 times repeatedly to enable Developer Options. Go back and tap on Developer Options. Scroll down and find USB Debugging/Android Debugging and turn it on. Unlocking the bootloader will void your warranty. Backup all of your data as this procedure will erase all your phone’s data. 5. Power off your device and reboot it into the Fastboot mode by pressing Power + Volume Down buttons simultaneously for a few seconds. 6. Once your device is in fastboot mode, Connect your device to the PC with the help of a USB Cable. You’ll see “USB Connected’ written on your device. 7. Now on your PC, Open the extracted folder of SDK Platform-tools. Hold Shift button and right-click on an empty area in that folder. 8. Click on Open Command window here. If you don’t see a bunch of numbers followed by fastboot in the Command Prompt, that means the drivers were not properly installed. Go back and download the latest version of USB Drivers, install it, Reboot the PC, if required and go with the above steps again. The returned string will be an alphanumeric code. 11. On the Command Prompt, right-click and then click on Mark. Select the code, copy it and paste it into Notepad. Remove all the spaces and bring the code in a single line. Make sure that there’s no ‘(bootloader)’ or ‘INFO’ or any white space in between the code. After bringing the code in a single line and also after removing ‘bootloader’ or ‘INFO’, Copy the code. 12. Head over to Motorola’s Bootloader Unlocking page, scroll down and click on Next. 13. 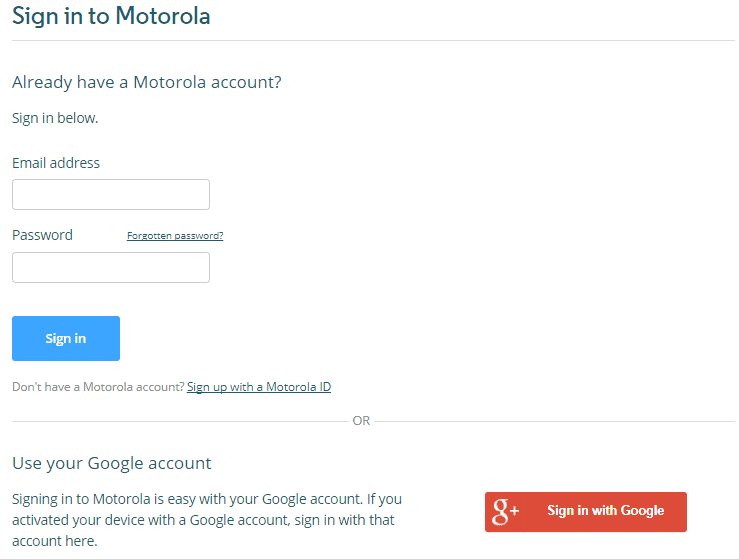 You’ll be prompted to Sign in with Motorola ID or alternatively you can sign in with Google. 14. You’ll be taken to a page with the heading ‘Get your Device ID and Unlock Code’. Once you are on that page, scroll down and paste the code which you copied in Step 11. Refer Screenshot. 15. Click on ‘Can my Device be unlocked?’. 16. If your device supports unlocking the bootloader, then you’ll see a ‘Request Unlock Key’ button at the bottom. 17. Check ‘I Agree’ and click on ‘Request Unlock Key’. 18. Your unlock key will be sent to you by email. Once you’ve received the email, Open it and Copy the Unlock Code. The Command isn’t over yet. Right-click on Command Prompt and click on Paste to paste the Unlock Code which you received. You will also notice ‘Unlocked!’ written on your Motorola device. The device will reboot after a few seconds. In some cases, the device might ask your permission to unlock the bootloader. You can use the Volume Keys to confirm your selection. On the reboot, you’ll see a warning message saying, “WARNING BOOTLOADER UNLOCKED”. This just confirms that indeed your bootloader is unlocked. Congratulations to you on Unlocking the Bootloader and thus Unlocking the door to a whole new world of Android. Feel free to experiment with your Android.